Naples was recently recognized as the healthiest and happiest town in America in 2016 for the second year in a row. Residents know that taking advantage of its relaxed atmosphere, in addition to participating in any of the many municipal activities, is truly the key to health and happiness. For instance, if you are a golfer, experienced or beginner, you can find plenty of space to practice in Naples. Golf courses are readily available, and are a great way to meet new neighbors. 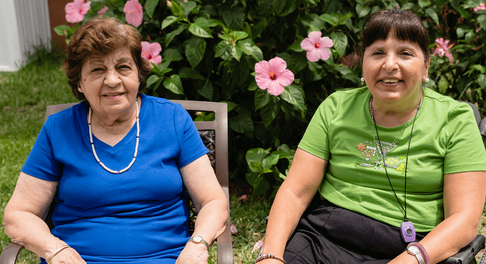 You can also connect with fellow Naples seniors by taking advantage of the Collier Senior Resource Center and surrounding senior support system throughout the area. The local library, senior centers, and park district all offer social programs geared toward seniors; take advantage of these great resources! Living in the city of Naples means you can take advantage of the warm temperatures year-round. While some of your family or friends might be stuck inside due to a snowstorm or subzero temperatures, you will be able to enjoy nature any time you want to. Head to the historic pier to fish or watch for dolphins, or peruse delicious foods and lovely crafts at the farmer’s market. Pristine beaches all along the city’s west coast as well as multiple walkways and well-maintained trails throughout the city and surrounding areas offer ample opportunity for leisurely walks with great views. As for your visitors, they will love exploring the outdoors with you as well, and you’ll be happy to show off the sights! Take guests for a day trip to Marco Island or any of the areas in the surrounding Paradise Coast area. Plus, you are just a drive away from state and national parks that feature Everglades tours and even mermaid shows, which are sure to be a hit with grandkids and adults alike.. Finally, as you settle into your new home, be sure that you take advantage of the cultural opportunities in the area. From casual bars to fine dining experiences, museums to street fairs, Naples has something for you to learn, love, or try. As you get to know the city's nooks and crannies, you will become more in touch with its culture as well. You will feel like a true Floridian, not just a visitor on a long vacation. If you want to learn more about what Naples has to offer, but would prefer to live in a place where neighbors are right down the hall, consider learning more about Barrington Terrace of Naples. Caring staff, engaging programming, and an amazing lifestyle are just a few benefits of living there. Join us in the fun of enjoying what healthiest and happiest city in America has to offer!